Before I share what I have read and will be reading, I decided on Saturday night to clean up my computer. I deleted SO many files. Files from when I was still taking university classes (huge spread sheets, word docs, power point, etc.) and lots of images I used from when I was piloting an Online Supplemental Instruction Class and was "teaching" the class. Teaching is the best way to describe it but I wasn't instructing, just leading students to find the answers on their own. Almost like a coach in a way. It was really nice to clean things up. BUT... *cue Jaws theme* I decided to, once again, play around with my layout and screwed it up. I am going to buy a new template next week. I found a few I like that I found on Etsy but you would think by now, I would learn my lesson. The header... it looks TERRIBLE! Ha. Oh yeah, and check out this post I did yesterday. It's awesome. You should love it. Hahahaa. At least for the cute little video I posted. 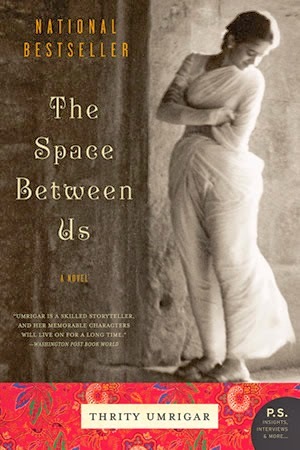 Last week I finished The Space Between Us by Thrity Umrigar. It was amazing. The writing was absolutely beautiful and it was able to grab me from start to finish. The tale was poignant and you fall in love with Bhima from the beginning and the twist, for me, was easy to spot but that didn't take away from the story AT ALL. I am going to read many more of her books. I can see WHY readers LOVE her books. Just beautiful. 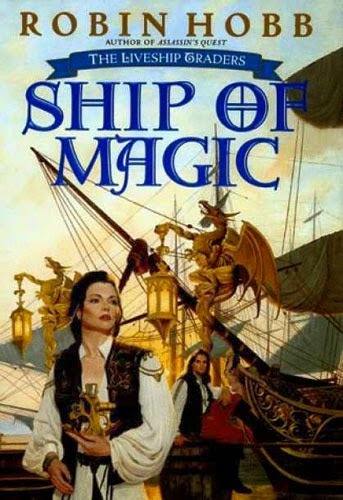 This week, I am going to start the Liveship Traders series by Robin Hobb and of course, begin with Ship of Magic . I have heard SO many great things about this series that I just HAVE to start on it! 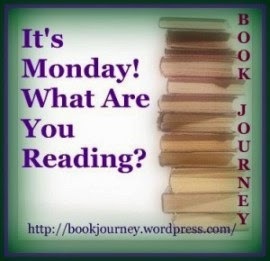 So.... what are YOU reading?